In this age of intense political conflict, we sense objective fact is growing less important. Experts are attacked as partisan, statistics and scientific findings are decried as propaganda, and public debate devolves into personal assaults. How did we get here, and what can we do about it? 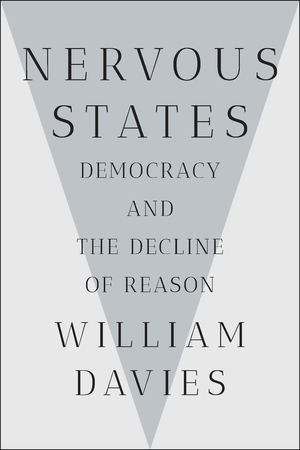 In this sweeping and provocative work, political economist William Davies draws on a four-hundred-year history of ideas to reframe our understanding of the contemporary world. He argues that global trends decades and even centuries in the making have reduced a world of logic and fact into one driven by emotions—particularly fear and anxiety. This has ushered in an age of “nervous states,” both in our individual bodies and our body politic. Eloquently tracing the history of accounting, statistics, science, and human anatomy from the Enlightenment to the present, Davies shows how we invented expertise in the seventeenth century to calm the violent disputes—over God and the nature of reality—that ravaged Europe. By separating truth from emotion, scientific, testable facts paved a way out of constant warfare and established a basis for consensus, which became the bedrock of modern politics, business, and democracy. 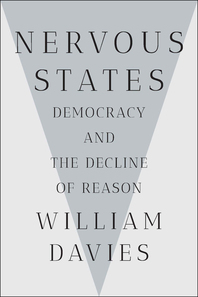 Informed by research on psychology and economics, Davies reveals how widespread feelings of fear, vulnerability, physical and psychological pain, and growing inequality reshaped our politics, upending these centuries-old ideals of how we understand the world and organize society. Yet Davies suggests that the rise of emotion may open new possibilities for confronting humanity’s greatest challenges. Ambitious and compelling, Nervous States is a perceptive and enduring account of our turbulent times.